KVIS Block Club Committee encourages you to consider having a Block Party. Some Village blocks have a long history of block parties, but quite a few don’t. There are many reasons to consider having a block party but none more important than having fun together with the people who live near us. Block Parties range from a very simple gathering of neighbors to a large event with bounce houses and other entertainment. No matter what type of block party you decide to have, there are a few things you should know to help make your party a success! 4. The phone number and address of the person making the request. Your party should be a representation of your block, an event that’s fun and enriching for all. Listed below are some Block Party ideas to help get you started in thinking about a Block Party. Block Club Committee has a booklet that is filled with planning tips, ideas, themes, and more to help you make your simple or fancy Block Party everything you’d like it to be. 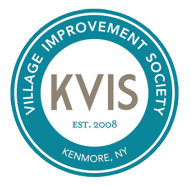 Contact KVIS and we’ll get the booklet to you, there’s no charge, we’re happy to help.